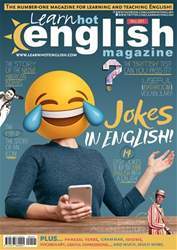 One very difficult part of learning English is understanding different accents. But imagine having to learn how to speak in a different accent for a film! 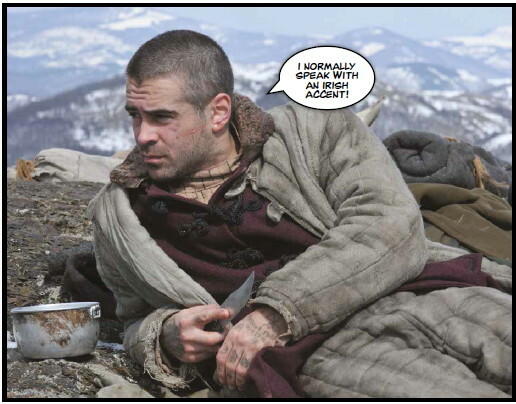 We chatted to Irish actor Colin Farrell to see how he coped with learning a Russian accent in the film The Way Back. Colin (who plays Valka in the film) had to learn how to speak English in a Russian accent. To do this, he used an accent coach and spent a lot of time listening to Russian. He also studied Russian poetry. There are many key characteristics to a Russian accent. For example, Russians often use a “v” sound instead of the “w” sound. So, instead of saying “what”, they may say “vat”. Also, articles such as “a”, “an” and “the” are often omitted as they aren’t so common in Russian. The Russian accent also has fewer tone and pitch changes, so it isn't as "sing-songy" as English (it is often spoken more as a monotone). 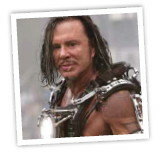 Other actors who have spoken with a Russian accent in films include Mickey Rourke (who played villain Ivan Vanko in Iron Man 2), Nicole Kidman (in her role as a mail order bride in Birthday Girl), and Rosanna Arquette (in The Whole Nine Yards).